the inimitable translator on the occasion of his passing. Mario Vargas Llosa (translated by Margaret Carson), Edith Grossman, Ezra E. Fitz and Earl E. Fitz, Jaime Manrique, Natasha Wimmer, Burton Pike, Margaret Peden, Ilan Stavans, Harry Morales, Esther Allen, David Unger, Susan Harris, Jorge Franco (translated by Ezra E. Fitz), Susan Bernofsky, Declan Spring, Eric Bentley, Daniel Shapiro, and David Draper Clark. The PEN America community remembers Gregory Rabassa for his contribution to the world of letters, his masterly translations from the Spanish and the Portuguese, and his constant advocacy of translators’ rights. The writers of the Latin American Boom—Julio Cortázar, Gabriel García Márquez, Mario Vargas Llosa, just to name three—are among the many authors whose works have become known, loved, and influential thanks to the verve, colorfulness, and sheer joy with which Rabassa wielded his pen (actually his typewriter). It is no exaggeration to say, with the Colombian writer Jaime Manrique, that the impact of some of the top Latin American novelists would not have been the same without Rabassa’s deft reinvention of their works in the English language. 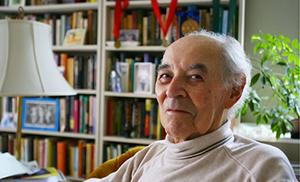 Over the course of his long and prolific career, Rabassa received multiple recognitions from the PEN American Center for his work as a translator: the PEN/Book of the Month Club Award for The Autumn of the Patriarch, by Gabriel García Márquez (1977); the PEN/Gregory Kolovakos Award for Expansion of Hispanic Literature to an English-Language Audience (2001); and the first PEN/Ralph Manheim Medal for a translator whose career has demonstrated a commitment to excellence through the body of his or her work (1982). In 2006, he also received the PEN/Martha Albrand Award for the Art of the Memoir, for If This Be Treason: Translation and Its Dyscontents. Fortunately for readers of English, Gregory Rabassa had neither a tin ear nor a roller-brush dripping with white paint. To honor him, members of the PEN America Translation Committee have collected tributes from the writers he translated, the translators he inspired, and the readers and friends whose lives he enriched. Gregory Rabassa fue uno de los grandes traductores al inglés de la literatura latinoamericana -español y portugués- y un gran promotor en el mundo anglosajón de los nuevos narradores. Yo tuve la suerte de que dos de mis novelas más difíciles de traducir, por la complejidad de su estructura y el uso muy libre de lo culto y lo coloquial, La Casa Verde y Conversación en La Catedral, fueran traducidas por él. Y esa experiencia, que compartí bastante de cerca con él, me permitió conocer la sensibilidad que tenía para recrear en el inglés, con inteligencia, sutileza y buen gusto, las formas más peculiares del la expresión oral y las audacias e invenciones de las más delirantes fantasías. Gregory Rabassa recreaba aquello que traducía de tal manera que sus versiones nunca parecían de segunda mano, sino tan originales como los textos que había escrito el autor. Por otra parte, era un hombre simpático, sencillo, con gran sentido del humor y con el que era delicioso conversar. Los escritores de lengua española, de mi generación principalmente, debemos estar enormemente reconocidos por la manera como nos ayudó a echar raíces en el mundo de lengua inglesa. Gregory Rabassa was one of the great English-language translators of Latin American literature—Spanish and Portuguese—and a great promoter in the Anglo-American world of its new writers. I was lucky to have him as the translator of The Green House and Conversation in The Cathedral, two of my most difficult novels to translate because of their structural complexity and their free interweaving of high and low language. And that experience, on which we worked rather closely, helped me get to know the sensitivity—the intelligence, subtlety, and good taste—with which he recreated in English the most peculiar idioms in the spoken language and the audacious inventions of the most outrageous fantasies. Gregory Rabassa recreated whatever he was translating in such a way that his versions never seemed second-hand but were instead just as original as the texts the author had written. Moreover, he was an easygoing, unassuming man with a great sense of humor, which made conversation with him a delight. We Spanish-language writers, especially of my generation, should be enormously grateful to him for the way in which he helped us plant roots in the English-language world. “He was splendid in his courtesies”—this is what Ronald Christ said about Gregory Rabassa in an e-mail to me when he heard of Gregory’s passing. It is a perfect comment: in many ways, this was the most memorable characteristic of the most accomplished translator of our time. Whenever I spoke about Greg Rabassa, I would hear myself saying something like, “He was the most courtly man I’ve ever met.” That courtliness was combined with a sly wit and subtle humor, all of which made him a delight to be with—a supremely intelligent companion overflowing with memories he loved to share. I don’t remember when I first met him, but of course I had known about Greg Rabassa for years, as I read his groundbreaking translations of books by most of the larger-than-life writers of the Latin American Boom—including Julio Cortázar, Carlos Fuentes, Gabriel García Márquez, José Lezama Lima, Luis Rafael Sánchez, and Mario Vargas Llosa. Gregory translated them all, and many others besides, allowing English-language readers to catch up with our Spanish- and Portuguese-speaking sisters and brothers in appreciating—more than that: reveling in—a hot-off-the-press literature unlike anything anyone had seen or read before. I’m deeply sorry that he is gone: Gregory Rabassa was just what the world desperately needs more of: a smart, stalwart, articulate defender of great literature, and a committed proponent of the universal value of translation. My most sincere condolences to his wife Clementine and his daughters. The world is a lesser place without him. That same day, I called my father, Earl, to ruminate about various challenges we’ve faced as translators over the years. And, as tends to happen with such discussions, Gregory Rabassa’s name came up. “What do you think was Greg’s biggest success in terms of overcoming obstacles?” I asked. “Oh, probably when he had to invent an entire language from scratch,” he replied, quite matter-of-factly, as if such a sweeping act of literary creation was just another day at the office for the great Don Gregorio. My dad met Greg in the fall of 1970, when he was a first year graduate student in Portuguese at the City University of New York. And he never forgot their first encounter there in Greg’s office. “Oh, you’re the fellow from Iowa, right?” Greg asked. “Yes, sir,” my dad replied. And with that, a 46-year friendship between two men who loved languages—the way words sound, the way they work, the way they represent the world in which we live—was cemented. The two of them spoke on the phone nearly every day, laughing over such pleasantries as inter-lingual limericks, Pink Panther and Marx Brothers movies (especially Horse Feathers), the exploits of their dogs (Greg’s were named Prince and Pat, with Pat being “the slow one”), and various encounters with “Professors Horrendo,” who always seemed to favor grammar at the expense of creativity when it came to the art of translation. Probably the most striking aspect of Julio Cortázar’s novel Rayuela, which Greg translated as Hopscotch in 1966, is the author’s invention of a kind of writing dubbed Glíglico by its Argentine creator. Glíglico is a very private language of love, one that is a dizzying mix of popular Argentine speech, street slang, poetry, puns, metaphors, testimony, and nonsense words. In Rayuela, it’s really a foreign language embedded within the standard Spanish, one that identifies the people who use it. And love, be it amorous, fraternal, or linguistic, is what Greg’s artistry inspired in people like my dad and me. Greg lovingly transformed Glíglico in to Gliglish rather than English, won the first ever National Book Award for translation, and changed the course of history for Latin American literature in the English-speaking world. We could keep on talking of Greg, in Gliglish, Spanish, Portuguese, or English. There are so many stories he loved to tell, from the one about a New York City slicker looking for directions in rural New Hampshire, to a hilarious French mistranslation of a line from Sam Peckinpah’s WWI movie Cross of Iron. But perhaps this isn’t the place. It’s just a short little gumphy, after all. We’ll talk later, wherever translators gather, long into the evening hours. For we are left sine die, night has devoured day, y la noche es buena para decir adiós. Gregory Rabassa was a literary giant and I have tremendous admiration for his body of work and everything he accomplished. The writers of the Boom were incredibly lucky that there was such a great translator waiting to bring their words into English. Can you imagine if One Hundred Years of Solitude had been poorly translated into English? The history of literature in the second half of the 20th century would have been different—and not in a good way. Sometimes I think that the work of Alejo Carpentier, to name one major Latin American author, would be better known in English if someone like Rabassa had translated his major novels. I read Gregory Rabassa’s memoir, If This Be Treason, years ago when I was just starting to think hard about how translation actually works. Up until then, I had improvised, relying on my experience as a reader and editor, but I had begun to think I should approach the work in a more analytical way. The process of educating myself was enlightening, but also anxiety-producing—had I been doing it wrong all along? Rabassa’s memoir, idiosyncratic and joyful and light-hearted, reassured me that translation was (as I had always sensed), an educated process of trial and error, and that delight in language was the main requirement. Though I never met Rabassa, I will always be grateful to him for that. We did, and he did, but when he introduced himself there was a stunned silence. That did not last long, as Greg revealed his glorious self, his generosity, his unquenchable sense of humor, his unparalleled storytelling. After Greg and Clem moved to New York they still made trips to the country, to their old haunts. With time that got too difficult. They had a comfortable apartment and could walk to the nearest grocery store. When visitors came Clem made a cup of tea and the great host would have some new stories. It is difficult to believe that Gregory Rabassa is not with us anymore, but at the same time we are saved by the belief that he is here, present in innumerable memories, on countless thousands of night tables and book shelves. We will miss you, Gregory, but you will not disappear. I don’t know how many times I have looked at his translation of One Hundred Years of Solitude: twenty, fifty times, maybe more. And every time I reach the same conclusion: it is a work of sheer genius. My friendship with Rabassa (though I always called him Greg) began in the late nineties, when a mutual dear friend, Cass Canfield, Jr., who acquired the Buendía saga for Harper & Row, introduced us. I wrote him a fan note. He responded swiftly with an invitation to visit him in the city. We spent glorious hours talking about Gabo and Hopscotch and Jorge Amado, about the size of a language’s lexicon (does English have more words than Spanish? ), about translating without usurping the author’s place (“translating with humility”), about the difference between loneliness and solitude, and, of course, about his quirky strategies. For instance, Rabassa told me he occasionally preferred not to read in advance a book he had agreed to translate so as to retain the freshness in the translation. I loved his deprecating humor. It had two favorite targets: academics and editors. About academics, I have enough anecdotes to fill a lengthy book, most of them protagonized by Professor Horrendo. Perhaps that’s why the obituary in The New York Times insistently referring to him as Professor Rabassa made me cringe. About editors, I remember a joke he told me when he came to visit me in Amherst. An author, a translator, and an editor are lost in the desert. After countless hours, their thirst reaching a peak, they find an oasis, and within it a spot with fresh water. In the next scene, the author and translator are joyfully drinking water. They suddenly see, a few feet away, that the editor is peeing in the water. “What the hell are you doing?” one asks. “I’m improving it!” he answers. Sure, it is worth learning Flaubert’s French, Dostoyevsky’s Russian, Kafka’s German, and, yes, Gabo’s Spanish to register the sounds and colors of the original. In fact, I used to think that Gabo’s opinions—that the English version of One Hundred Years of Solitude is better than the original, and that Rabassa is a world-class Latin American novelist—were facetious, a mere publicity stunt. But I have come to agree with him. Or almost; actually, I believe that Rabassa is a first-rate English-language novelist in the manner of Melville and David Foster Wallace and that it is more than worth the effort to learn English in order to fully appreciate his exquisite, lasting talent. On Monday, June 13, my mentor, friend, surrogate padrino, and cronopio de primera clase, Gregory Rabassa, passed from this world and will forever reside in the library of Babel. His favorite armchair and accompanying reading lamp has been awaiting him, as has Borges, the full-time librarian on the premises who wields the one and only stamp, which in bold capital letters prints: ETERNITY. Greg, the modest dedicatee of this memorial post, was the venerated Spanish and Portuguese literary translator of the finest Latin American authors in the world. By extension, he was the finest in his field, whose art was rivaled only by his enduring and unburdened skills as an educator. Of the numerous awards he received for his work, the National Medal of the Arts—which “is the highest honor conferred to an individual artist on behalf of the people,” presented by the President of the U.S. to only a dozen or so artists per year across the country—is the most reflective of his extraordinary, seismic contribution to the world of letters. I will always cherish Greg for his enduring affection, respect, and unconditional friendship in this work of ours and welcome the memory of his Cheshire Cat grin, which so often preceded a twitching of the nose and a narrowing of the eyes just before delivering what would more times than not be a joke or a hilarious anecdote or revealing story, which would invariably lead to a tutorial about some subject or other—Cuba, W.C. Fields, the 1937 Boy Scout Jamboree in Washington, D.C., Marlene Dietrich, or the Catholic Church. I would not be the translator I am by a shaky third if I had not enrolled—by conscious design—in an Advanced Literary Translation Course at the New York State Summer Writer’s Institute at Skidmore College, in Saratoga Springs. Since those two weeks over 25 years ago during which I practically had every meal in the cafeteria with Greg and his querida Clem—both of them endearing, magnetizing and forgiving of my curious pestering—I have attempted to live up to his ideals and everlasting respect for the written word. Gregory Rabassa’s work had as great an impact on the literary culture of the United States in the 20th century as that of any other literary scholar you might name. And a literary scholar is what he was: a university professor with a long and brilliant career, first at Columbia University, and then, for forty years at City University of New York, at both Queens College and the Graduate Center. The debt all of us who are involved in literary translation and Latin American Studies owe him is incalculable. In 2003, I curated a PEN American Center homage to Gabriel García Márquez at New York’s Town Hall. Former President Bill Clinton sent a video, and luminaries such as Paul Auster, Rose Styron, Salman Rushdie, Francisco Goldman and William Kennedy were there in person to celebrate Gabo, reminisce about him, and read from his work. Conspicuously absent were García Márquez himself—who had a policy, he said, of not attending the many tributes to him held the world over—and Gregory Rabassa, who declined the invitation to speak but came to the event. When Edith Grossman spoke, she mentioned Rabassa’s presence in the audience. He and his beloved wife Clementine were picked out by a spotlight and stood up to be greeted with a great roar of applause from the packed house. Both of them stood there beaming while the applause went on and on. After several long minutes, they resumed their seats without saying a word. That’s how I will always remember Gregory Rabassa: standing in the spotlight with his beloved wife, wordless and smiling, in the certain knowledge of what he contributed and what his work meant to so many. Gregory was already an editor of Odyssey, a literary magazine that introduced North American readers to the work of two new European and Latin American writers in each issue, when Sara Blackburn asked him to translate Cortázar, a writer whose work Gregory did not know. He set about translating Rayuela without having read it. “I read it as I translated it.” This is not the path a beginning translator should take, but it was perfectly suited to Gregory, a jazz aficionado who drove from New England to New York City to hear the legendary Billie Holiday sing in person. The secret to “translation improvisation” was to value your instincts and intelligence equally and to have the verbal flexibility and fluidity to lay down your recreation in highly charged language. This was the Rabassa approach. Cortázar considered Gregory a cronopio—a warm, life-loving subversive—and both men shared a passion for jazz, alcohol, and humor. We all knew that his translations were a success when Gabo stated he much preferred to read Gregory’s One Hundred Years of Solitude to his original Cien años de soledad. He was that good. Gregory was not a literalist. He believed that literature was best read in the original, yet he dedicated sixty years of his life to translation. He was cloesr to Pound’s dictum that “poetry is what comes through in translation” than to Frost’s “poetry is what is lost in translation,” despite having spent many years living in New England. Though I saw little of Gregory toward the end, I will never forget this elegant man whose eyes sparkled and whose mind burned, who was playful, inventive and genuinely warm—whose many inspired translations will scatter light in the night sky for decades to come. The first Gregory Rabassa book I read was One Hundred Years of Solitude. I knew very little about Latin American literature and even less about translation publishing, and though that certainly wasn’t the first translation I read, it was the first one to make me think about what translators do and how they do it. Later, in my first job in publishing, I began to realize the impact of the Boom on translation publishing, and the role the success of those books, so many translated by Rabassa, played in increasing the visibility, and the possibility, of translations from all languages. I never worked with Rabassa, and never met him—the closest I got was at some conference years ago, where I spied him on a sofa, twinkling and surrounded by a scrum of admirers—and I wish I could have thanked him, and told him that every translation publisher in the English-speaking world is indebted to him. But I think he knew. Uno de los momentos más importantes de mi vida como escritor, es haber sido traducido al inglés por Gregory Rabassa. Sabía de él desde mucho tiempo antes de dedicarme a la escritura, cuando leí a Gabriel García Márquez. Cuando me propusieron al señor Rabassa como traductor de mi novela Rosario Tijeras, no podía creer que yo iba a ser parte de sus autores traducidos. Asumí este honor con humildad y mucha alegría. Me advirtieron que tendría que ser paciente porque el señor Rabassa se tomaba mucho tiempo en sus traducciones. No me importó. Valía la pena esperar para tener un resultado de alta calidad, como los que él ya había hecho. Tuve la oportunidad de conocerlo cuando fui a Nueva York a presentar la versión en inglés de mi novela, y la saludarlo tuve la sensación de estar conociendo personalmente a un autor importante, como García Márquez, como Julio Cortázar o Mario Vargas Llosa. Su legado es muy valioso, para las nuevas generaciones de traductores que podrán nutrirse de su experiencia y talento. One of the most important moments in my life as a writer was being translated into English by Gregory Rabassa. I had heard about him long before deciding to become a writer, when I first read Gabriel García Márquez. So when my editor proposed Gregory Rabassa as the translator of my novel Rosario Tijeras, I couldn’t believe that I might be joining the long list of his authors. It was an honor I accepted with humility and great joy. My editors warned me that I would have to be patient, since Señor Rabassa took his time on his translations. But I didn’t mind. It was worth the wait to get the perfect result, the kind he always achieved. I finally got the chance to meet him when I flew to New York for the English-language publication of my novel. When I shook his hand I had the distinct feeling I was standing before a writer as important as García Márquez, Julio Cortázar, or Mario Vargas Llosa. He leaves behind an invaluable legacy of experience and talent for a new generation of translators. I was surprised to hear of Gregory Rabassa’s death, even though he was 94 years old, because he always seemed so buoyed up by insuppressible energy when you saw him that it was easy to assume he’d live forever. When I visited him and his wife Clementine in their book-lined apartment on the Upper East Side three years ago for an interview, the two were all happy banter, with Clementine popping in every once in a while to make sure her husband wasn’t “flirting,” and him showing off her artwork. I so wish I could have taken one of the translation workshops he taught for years at the CUNY Graduate Center—I know he taught it like a writing workshop because of his famous quip when asked whether his Spanish was good enough to be translating García Márquez: The real question, he said, was whether his English was good enough. His apartment contained a shelf taller than he was, full of all the books he translated over the decades: works by García Márquez, Julio Cortázar (whose novel Hopscotch was Rabassa’s first translation in 1966), Jorge Luis Borges, Mario Vargas Llosa, Machado de Assis, Clarice Lispector, José Lezama Lima, António Lobo Antunes, Miguel Ángel Asturias, Jorge Amado, and more. It’s Rabassa we have to thank for the explosion of the Latin American “Boom” in English—he was instrumental in shaping the literary tastes of more than one generation of readers. The beloved elder statesman of the translation world, he was always popular among his colleagues thanks to his skill as a raconteur, dispensing sage advice along with war stories and a seemingly endless supply of slightly off-color jokes. He will be missed. I attended a translation panel in 2004 at the Americas Society with Gregory Rabassa, Edith Grossman, and Margaret Sayers Peden. Gregory was his usual charming and captivating self and told stories about studying at Dartmouth, working as a cryptographer in World War II, and how those experiences led to his becoming a translator. Afterward, I asked him why he’d never written a memoir about his life as a translator and he answered, “Because no one ever asked me to.” The next day, my colleagues at New Directions agreed that I should write Gregory and ask, and in a month we had a book contract. If This Be Treason: Translation and Its Dyscontents came out just as you’d expect: cool-headed, humorous, anecdotal, and totally unpretentious. “Commonplaces may come and go,” the book begins, “but one that has held forth over the years to the dismay and discouragement of translators is the Italian punning canard traduttore, traditore, leading one to believe that the translator, worse than an unfortunate bungler, is a treacherous knave.” The book ended up being part autobiography, part overview of his incredible oeuvre, which includes masterful translations of many of the most enduring works of Portuguese and Latin American literature. If This Be Treason was widely reviewed and praised, and sold well. But perhaps most exciting for me was that it led to Gregory receiving numerous awards, acknowledging not just the book but Gregory’s career: the National Medal of Arts, the PEN Martha Albrand Award, and the American Academy of Arts and Letters Thornton Wilder Prize. All along, Gregory was humble, kind, finding humor in everything, but also enjoying the well-deserved attention the book brought him. Working on the book together, we got quite close, and I always appreciated his wit, his warmth, his kindness, and support. He was always interested in hearing about me, my wife, and my two boys. He loved old movies, and his jokes often centered around the classic film stars and starlets. We both talked a lot about jazz, and he shared stories about his wife Clem, his daughters and granddaughters, and also his walks in the Pawling Nature Reserve. Working with him was a huge honor and maybe the highest point of my career, and New Directions is incredibly proud to publish his wonderful and illuminating If This Be Treason. Since translations of literature can easily be either too literal or not literal enough, the disputes about them can be endless and pointless. Gregory Rabassa was above such disputes since his translations are neither too literal nor not literal enough. They are equivalents of the text translated whatever its fasts and slows, its singulars and plurals, its verbosity or its terseness. He was a great pro, where most of us are amateurs. We shall not miss him because he remains forever alive in his work. 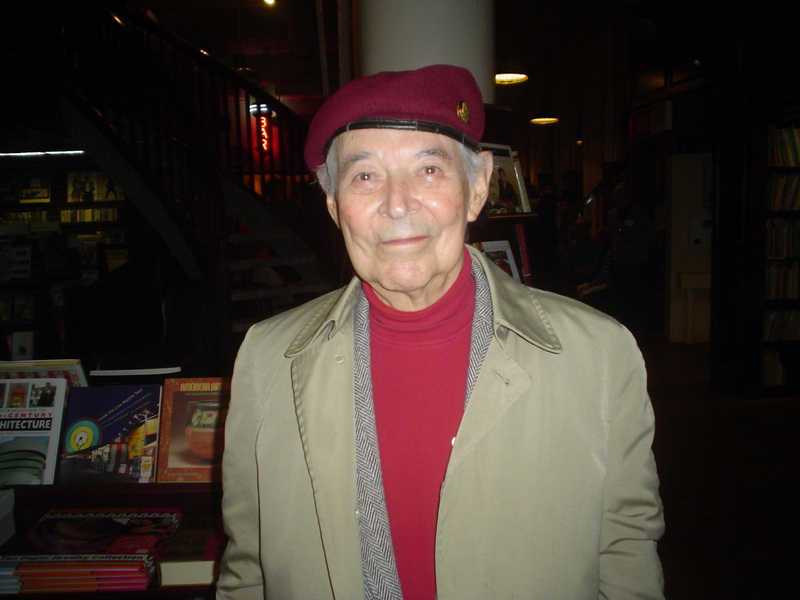 Gregory Rabassa was an icon to my organization, the Americas Society, long before I arrived there—first and foremost, as the translator of Gabriel García Márquez’s masterpiece, One Hundred Years of Solitude, and other titles sponsored by the Society; but also as a speaker and as a collaborator on Review: Literature and Arts of the Americas. During my tenure at the Society (1985-2015), I had the privilege of featuring Greg in numerous events—among them a symposium on the literature of Rio and Bahia, various panels on Clarice Lispector, and, most recently, a memorial for Alastair Reid. In all of these appearances, he commanded the room, speaking with ease on a breadth of subjects to the rapt audience arrayed before him. Greg contributed regularly to Review with commentary and translations of texts by writers ranging from colonial masters António Vieira and Gregório de Matos to modern icons such as Jorge Amado and Mario Vargas Llosa; the magazine also covered his own publications—his lauded memoir If This Be Treason as well as his translations of Machado de Assis and of younger writers such as Jorge Franco. He served as a Distinguished Member of Review’s editorial advisory board, helping shape the magazine’s contents through his wisdom and vision. Greg gave graciously of his time, was always a gentleman, was always profound in his modest, understated way. I’ll often think of him fondly, arm in arm with his wife Clementine, arriving beneath the portico of the Americas Society, or engaged in conversation with mutual friends, including Elizabeth Lowe, Domicio Coutinho, Nélida Piñon, and others I met thanks to his generosity and classic translations that, like Gregory Rabassa himself, are indelible gifts that will live on and on. In 1986, Gregory Rabassa spent several days at the offices of World Literature Today when he served as a juror for the Neustadt International Prize for Literature, sponsored by the magazine. Those of us on the editorial staff and involved with the prize waited eagerly to learn who his candidate would be, anticipating that he would likely nominate one of the many great Latin American writers he had translated. Thus, he faced a predictable dilemma: that of choosing one such writer without offending all the others. Greg cleverly avoided the conundrum by selecting Günter Grass, whom he had never translated but who remained a kindred spirit, both politically and aesthetically. Such diplomacy and generosity while remaining authentic characterized Greg throughout his career. Although internationally recognized for his seamless translations of many of the major male Latin American writers of his day, Rabassa’s renderings from Spanish and Portuguese also introduced to North American readers such important women writers as Luisa Valenzuela (Argentina) and Clarice Lispector (Brazil), as well as writers from Spain, including Juan Goytisolo and Juan Benet. I once asked Greg to suggest an author from Latin America whom we at WLT should offer greater coverage. Without hesitation, and with crinkled eyes and a conspiratorial smile, he enthusiastically leaned his head forward of his bow tie and offered the name of the Brazilian novelist and short-story writer Nélida Piñon, who, thankfully, is finally receiving her due in English. Greg was genuinely eager to promote authors, inspire and help students and translators, and make better readers of us all. I certainly feel a deep sense of gratitude for having had the pleasure and honor to befriend him and to have worked with him for nearly thirty years. Whether one knew Greg personally or through his writings and translations, his passing marks the loss of an old friend, and the literary world is greatly diminished.